We are pleased to announce that Warwick senior, Mickayla Harris, has been selected as one of the regional award winners for the National Center for Women in Technology — Aspirations in Computing Award.Mickayla will be honored at the University of Pennsylvania next month.NCWIT’s main purpose is to promote, support and encourage more women to pursue a career in technology-related fields. This award was created to assist in providing an avenue for young women looking to get involved in computing fields and be recognized for their awesome work. Mickayla had to answer several short-essay questions that were used to determine her leadership skills, passion for computer science, aspirations for the future and understanding how computers can solve problems. 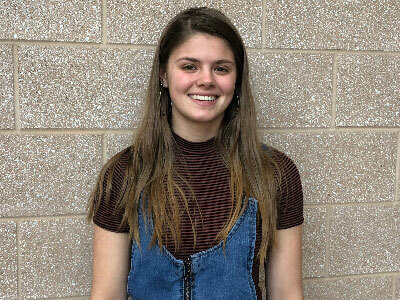 “I was very surprised to win, but am extremely excited to see the opportunities that computer science offers for women in technology,” Mickayla said about being recognized for this award. Mickayla’s computer science teacher, Mr. Jeff Wile, was also selected as the Regional Educator Winner for the NCWIT - Aspirations in Computing for the Philadelphia region.This educator award is conferred upon educators that have demonstrated a commitment to encouraging young women’s aspirations in computing.